This is a dish that I often make at home. Its easy, delicious, keeps for a long time and my family members relish it. I usually cook up a big pot of it and it lasts several days – Enjoy it straight away with some hot sauce, labu salad and some bhaley, or stir fry the pork with some green chillies, onions and enjoy it with some rice, or it makes a real good cold meat, sliced, dip in some some soya garlic chilli sauce and enjoy. Hope you like it …. The first step is to prepare the Pork skin by letting it brown directly on a flame, the skin to crackle and brown. This will give nice coloring and soften the rubbery skin. 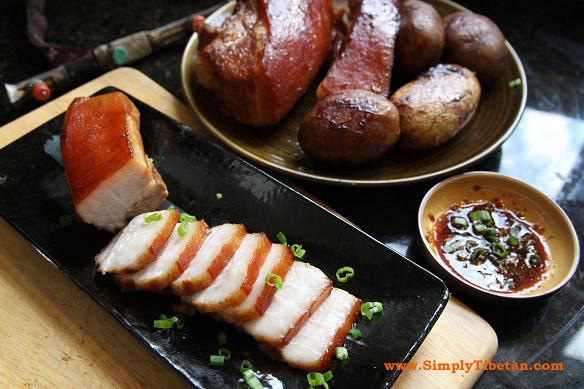 (If you are cooking a larger piece of pork like a shoulder roast, then you should make some sliced cuts into the pork skin – this helps it cook evenly). 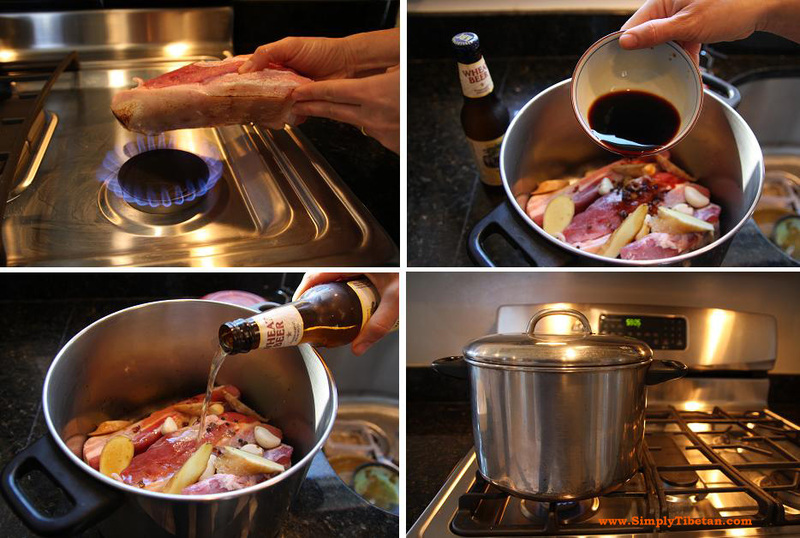 Now, place your pork in a large pot with all the other ingredients and on a low flame, let the pork simmer until it is cooked. Half way through you can turn the pork over so that it browns nicely on both sides. (40 minutes or at least upto an hour if you’re making pork shoulder). 🙂 – we have very few sweet dessert type dishes but there are a few. I will post soon – when I can. Thanks for writing. Hi simply, do u have any desert recipes that are also easy to make? 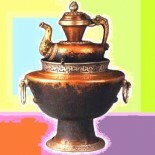 Thanks for sharing all your wonderful Tibetan recipes and cooking tips. I love cooking and usually go to youtube for ideas and recipes. 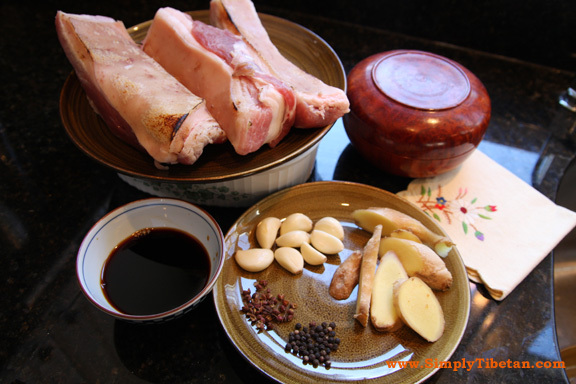 This entry was posted on June 23, 2012 by simplytibetan in Recipes and tagged Phagsha, Pork Belly, Tibetan Pork, Tibetan Roast Pork.